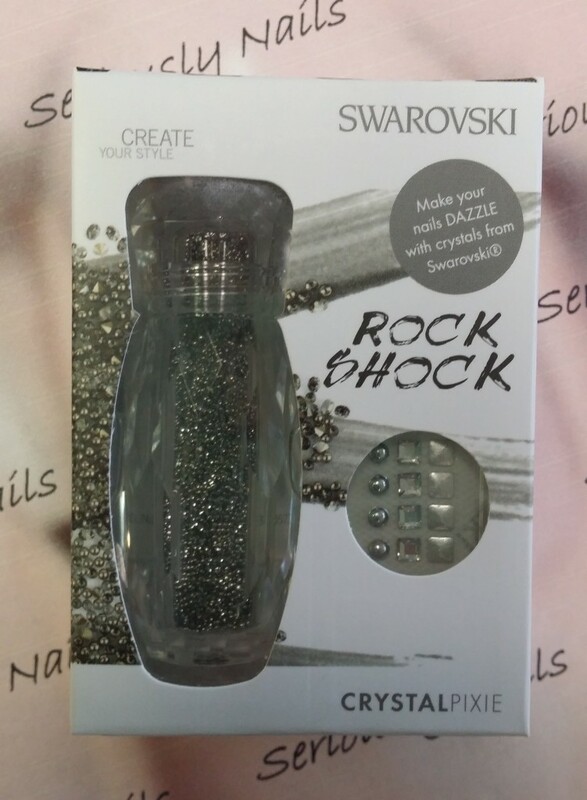 As you know, one of the hottest things in nail art right now is from Swarovski® crystals. 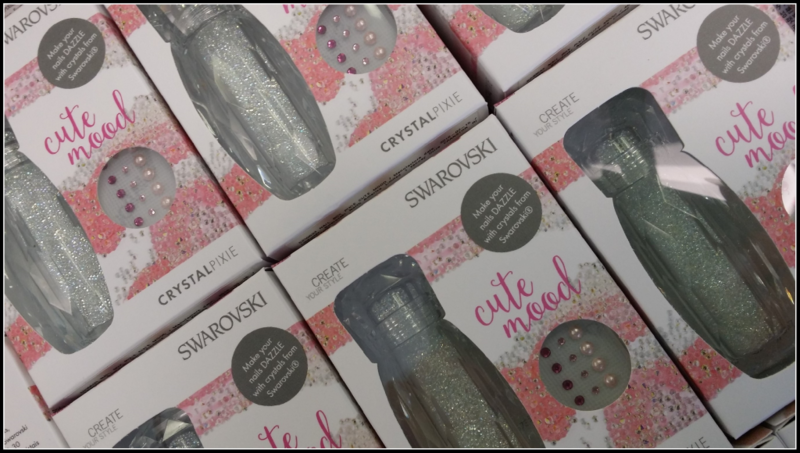 Crystal Pixie is small cut and round crystals that come in four colors, but the most versatile one is definitely Cute Mood. 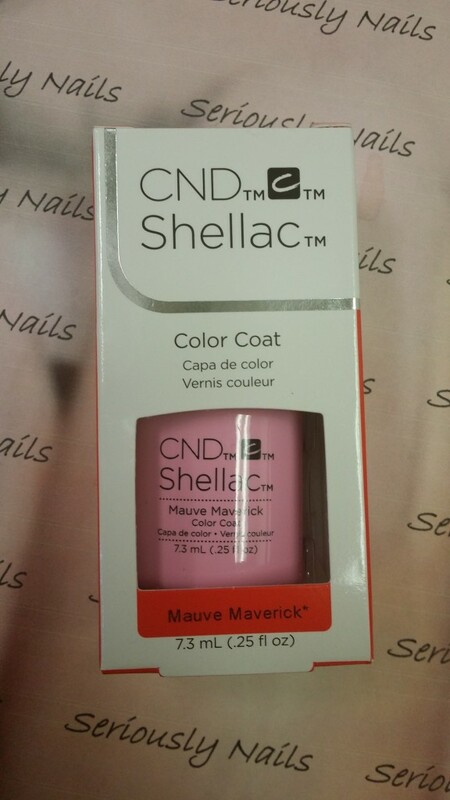 These are clear and will take on the base color you have on your nails. 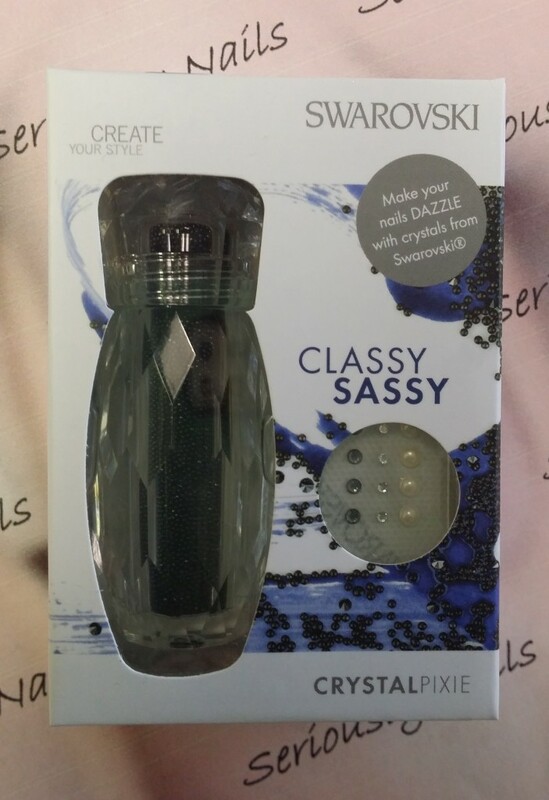 Plus they come with extra crystals and a funnel to return the ones that didn’t get used to the beautiful bottle they come in. I got my back order a couple of weeks ago and I am already almost sold out. 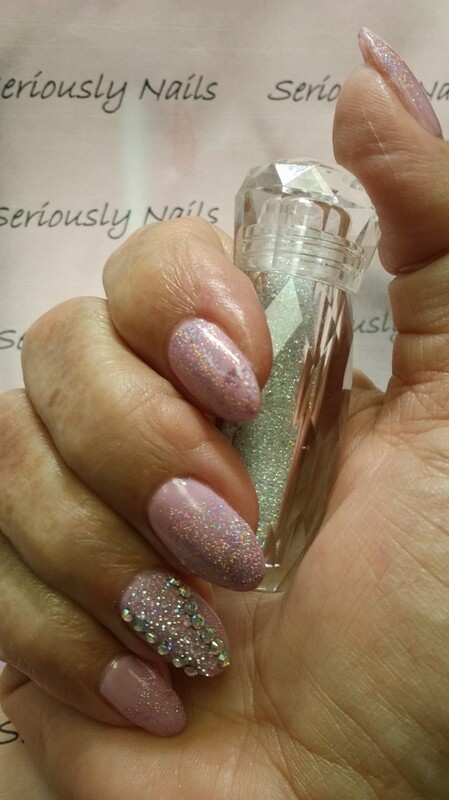 If this is on your wish list, head on over to http://www.seriously-nails.myshopify.com and place your order. Products are usually received in 3 days. Yup, I hate waiting for stuff to arrive so I send them out quickly! 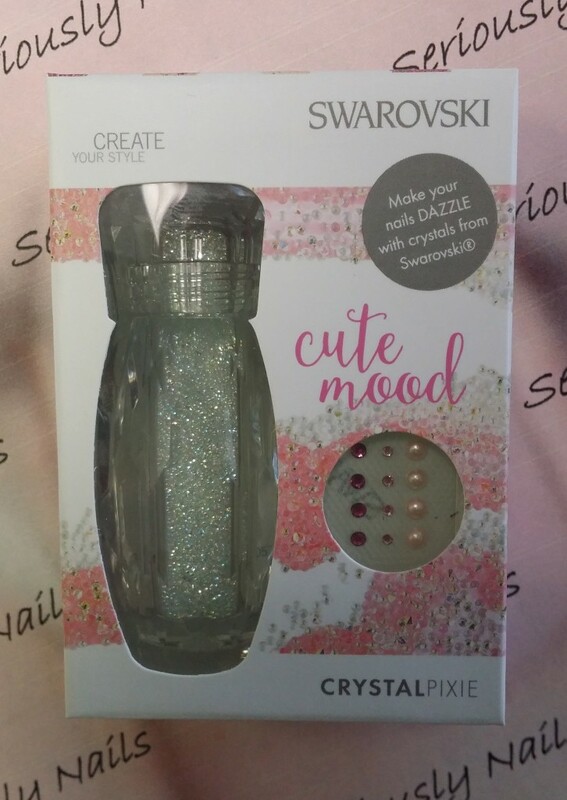 I am super excited because I just got word that my back back back order for Crystal Pixie in Cute Mood by Swarovski® is on it’s way!!!!! OMGosh, you can’t imagine how many people have been looking for this stuff! 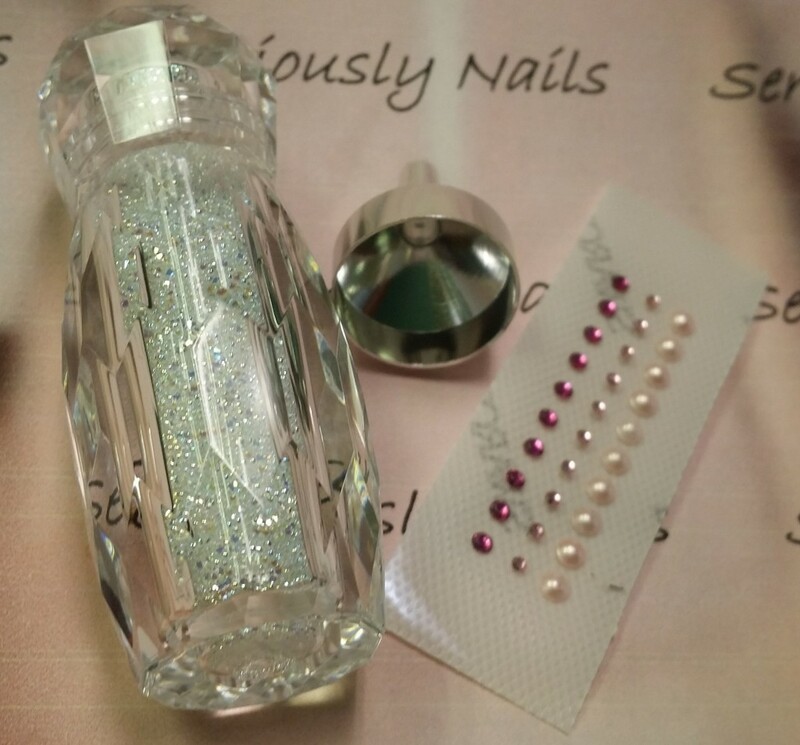 The kit comes with this beautiful bottle, a funnel to put back the loose stones that you didn’t use and these wonderful sparkling crystals and dainty pearls to add even more glimmer to your nail art! I will let you know AS SOON AS THEY ARRIVE!!!! I got to do some pretty nails for a friend the other day. I have to do a full blog on the Magnetic Glitter Spray as well as swatches of the new CND colors!!!! Yeah! 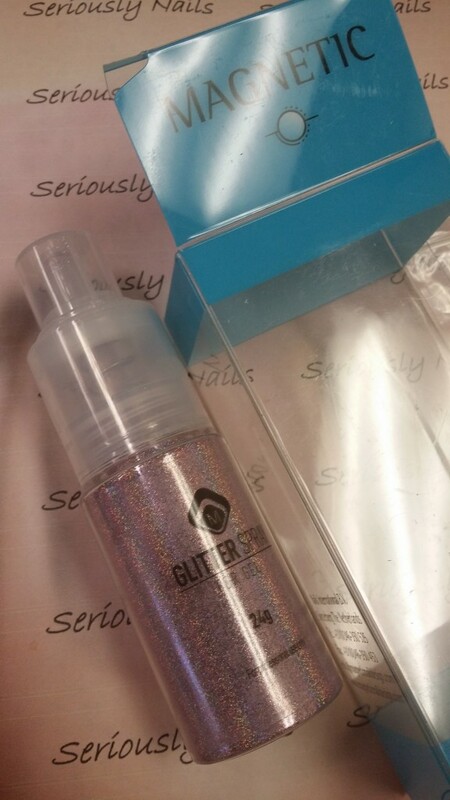 This glitter spray is so beautifully holographic that it is mesmerizing! 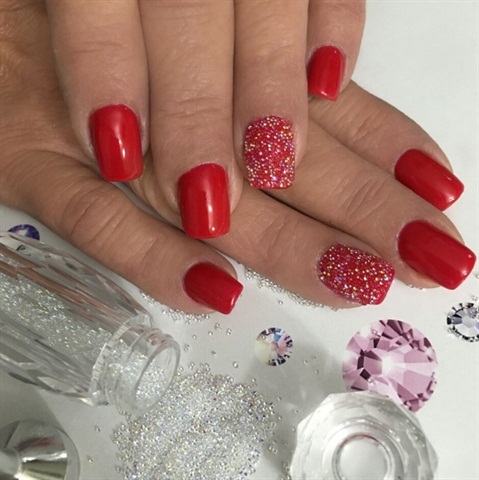 Enjoy the pretty, pink and sparkly nail art for today! I am happy to say that this year is starting with me adding a new business to my blog. What a great way for me to launch into this with the HOTTEST new trend for nail art. 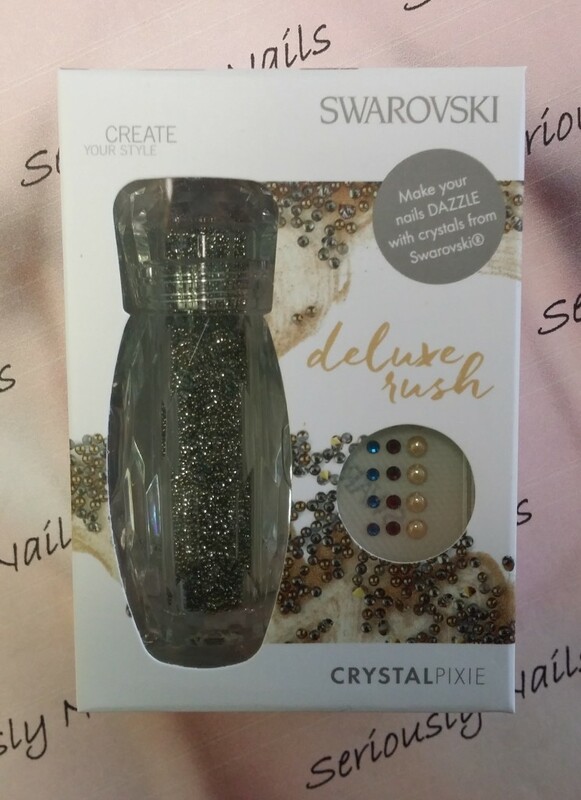 CrystalPixie is from Swarovski® and it is tiny crystals in different shapes and tiny sizes. It is really really hard to capture the sparkle and shine of this product in pictures. But there are four colors to choose from. I am in the process of having a real store added to the blog but in the mean time you can shop for the CrystalPixie from the tab in the header section above. Rock Shock is a dark golden crystal. All the CrystalPixie has different sizes so that light captures them from all angles! Deluxe Rush is a lighter version of Rock Shock. Hints of bronze help to give this CrystalPixie extra dimension. Classy Sassy is pure black Pixie. 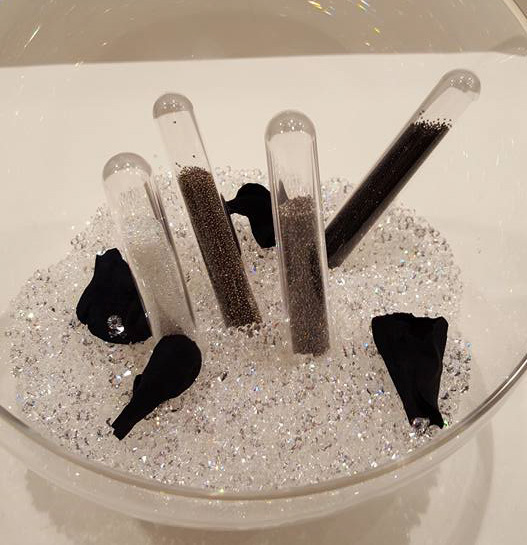 With the different sizes in the Pixie, this black crystal will give any monochromatic design incredible dimension! And, truth be told, Cute Mood, is my favorite. Firstly because it is so sparkly that it is hard not to stare at it. Secondly, you can create crystalized “fades” by using it over top of a fade. One product with different looks! Super versatile. The CrystalPixie is brought to you in this beautiful clear container cut to look like diamond facets. Even the container is a keepsake! I have a limited quantity of Crystal Pixie at the old price of $24.95. Once these are sold, the price will go up another $5.00 so now is a great time to shop and save. Have a fabulous (and sparkly) day.